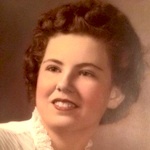 Joyce Ellen Kelly, 78, of Gardner, passed away Dec. 21, 2016. Cremation. Memorial service will be held 2:00 pm Thursday, Dec. 29, 2016 at the First Presbyterian Church, 138 E. Shawnee, Gardner, KS. Visitation 5-7:00 pm Wednesday, Dec. 28, 2016 at Bruce Funeral Home, 106 S. Center, Gardner, KS 913-856-7111. In lieu of flowers, memorial contributions may be made to the Breast Cancer Research Foundation, JDRF (Type 1 diabetes research) or the First Presbyterian Church of Gardner. Joyce was born Sept. 14, 1938 in Ochelata, OK, the first daughter, 4th child of seven to Howard and Dorothy (Osborn) Roe. She grew up in Ochelata, OK, graduating from Ochelata High School in 1956. She married Joseph Kelly on June 26, 1957 in Bartlesville, OK. Joe was in the Navy and they lived in California for the first two years of their marriage. They moved back to Oklahoma in 1959, bringing home a new baby girl Karen. Shortly after arriving home, Joyce gave birth to Jo Lynn in 1959, Michael in 1960 and Scott in 1964. They moved to Missouri in 1964. Joyce was a stay at home mom in the late 60’s and early 70’s. After all her children were enrolled in school, she got several jobs at the children’s school as Gray Lady, Room Mother, Den Mother and others. She found her calling at John Knox Village Nursing Home where she continued to be a caregiver to the nursing home residents. Her title was Activity Coordinator. Jo Lynn said, “that was a fancy title for playing games with old people”. Joe’s company in the early 1980’s through 2002 had them moving to Indiana, South Dakota, Arkansas, Illinois, South Carolina and Colorado. In 2002, with Joe’s retirement they moved to Gardner, KS. Joyce was a survivor of lung and breast cancer. She was a member of the First Presbyterian Church of Gardner. She enjoyed doing crafts. Joyce’s greatest pleasure was being surrounded by her family and her many friends. She had a very special gift of making everyone feel comfortable, loved and special. She was preceded in death by her parents, Howard and Dorothy Roe; brothers, Jackie, H. M. and Bob Roe; granddaughters, Kelly Jo and Stacy Fines. Joyce is survived by her husband, Joe of 59 years; siblings: Dale Roe of Ramona, OK, Judy Davis of Blue Springs, MO and Ricky Roe of Blue Springs, MO; children: Karen and husband Dallas Strong of Cabool, MO, Jo Lynn and husband Dale Clark of Gardner, KS, Mike and wife Susan Kelly of Grandview, MO and Scott and wife Janelle Kelly of Perry, GA; 11 grandchildren: Steven Fines, Matt Clark, Kyle Clark, Jessica Herdliska, Patrick Kelly, Crystal Zachary, Amber Wheeldon, Jade Metz, heather Kelly, August Kelly, Hayley Kelly; 11 great-grandchildren: Ryon Gallgher, Adrienne Strong, Hunter Zachary, Zetta Zachary, Boston Wheeldon, Charleigh Wheeldon, Colt Wheeldon, Ava Metz, Ana Metz, Vivian Herdliska and Colin Herdliska and many nieces and nephews.